The cover image "Emerging" is a painting by Susan Bostrom Wong, an artist and analyst member of the San Francisco Jung Institute. Learn more about Susan and her artwork. 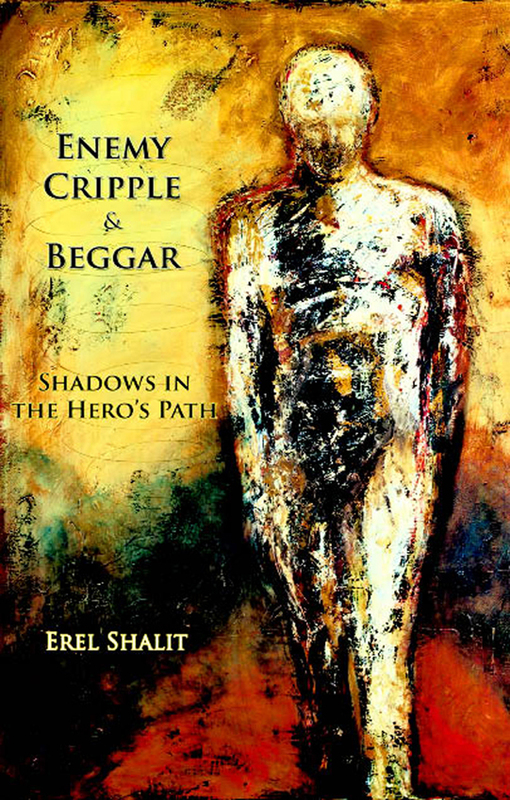 In Enemy, Cripple, Beggar, Erel Shalit provides new thoughts and views on the concepts of Hero and Shadow. This Fisher King Press publication elaborates on mythological and psychological images. Myths and fairy tales explored include Perseus and Andersen’s ‘The Cripple.’ You’ll also enjoy the psychological deciphering of Biblical stories such as Amalek—The Wicked Warrior, Samson—The Impoverished Sun, and Jacob & the Divine Adversary. With the recent discovery of The Gospel of Judas, Erel. Shalit also delves into the symbolic relationship between Jesus and Judas Iscariot to illustrate the hero-function’s inevitable need of a shadow. The Hero dares to venture into the unknown, into the shadow of the unconscious, bringing us in touch with the darker aspects in our soul and in the world. In fact, it is the hero whom we send each night into the land of dreams to bring home the treasures of the unconscious. He, or no less she, will have to struggle with the Enemy that so often is mis-projected onto the detested Other, learn to care and attend to the Cripple who carries our crippling complexes and weaknesses, and develop respect for the shabby Beggar to whom we so often turn our backs—for it is the ‘beggar in need’ who holds the key to our inner Self. Enemy, Cripple, Beggar can be comfortably read by an informed lay public interested in Analytical Psychology and by those interested in the interface between psychology and mythology, folklore, and religion. Enemy, Cripple, Beggar was a 2009 Gradiva Award Nominee for best theoretical book. "Enemy, Cripple, Beggar is an intensely moving book that speaks deeply to the psyche." The following review by Ann Walker, Ph.D., appeared in Psychological Perspectives, volume 53, issue 2, 2010. Ann Walker, Ph.D., is a Jungian analyst and psychologist in Santa Monica and book review editor of Psychological Perspectives.